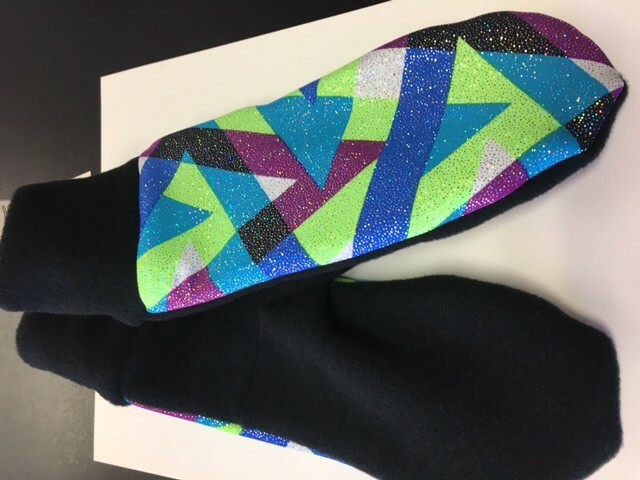 Even if it says ‘out of stock” we make the Sportees products here, so are happy to make the colour that you would like :) Our fantastic Magic mittens in printed sparkle! Yippee The mittens are made from Polartec 200 with lycra, 4 way stretch fleece. Warm and fuzzy. E-mail for custom orders. info@sportees.com These mittens are adult sized, but we can make smaller for children as well. named by some local teenagers that thought these mittens were the best things that they had tried on - in fact they must be Magic! 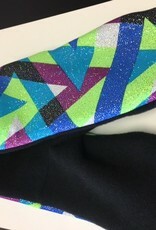 and the name stuck fitted stretch fleece with a stretch fleece cuff and then.....covered up in our fancy velvets or holographic or sparkle fabrics. if you can't decide on a fabric - just let me know what your favorite colours are, and I can chose for you! one size - $25.00 We can also make matching velvet headbands and hats to match your Magic Mittens. You will be divine!